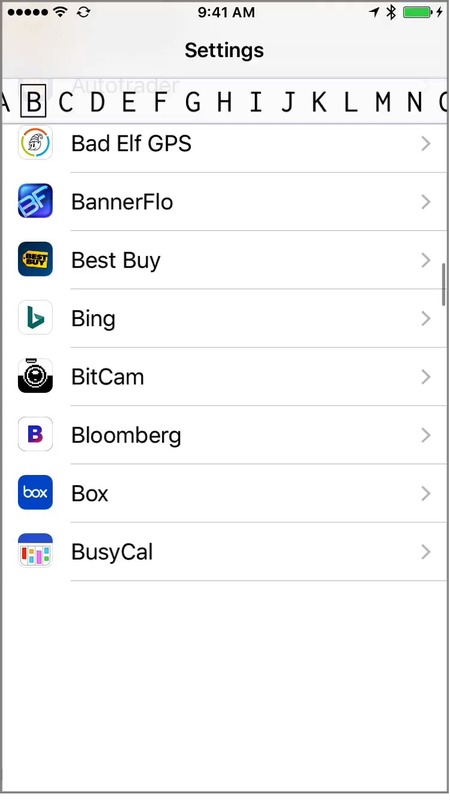 You can use search in the Settings app to quickly find the app you are looking for. Just pull down after opening Settings and the search field is revealed. So yes, it’s a viable method, but I don’t think it excuses the horrendous mess that is the Settings app. Or just letters along the side (like in Contacts and other places with long, alphabetized lists to scroll through). That’s cleaner than having separate lists for each letter; I shouldn’t have to click a button to scroll from G to H.
Separately, the organization of the stock system preferences has never made sense to me. There are seven groupings of stock preferences. 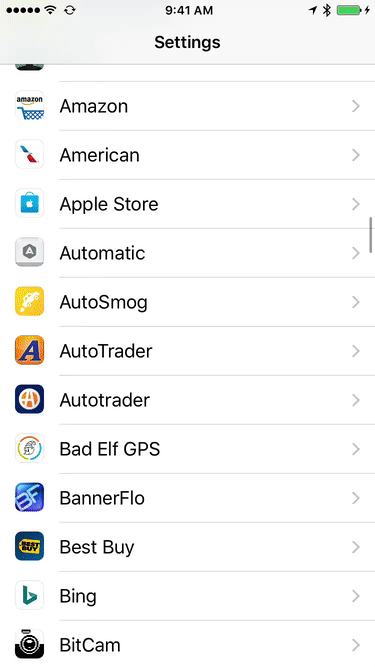 The choices for what goes in the first group (Airplane Mode, wifi, cellular, etc) make sense. In fact, each group sort of make sense. But when I’m looking for, say, the Mail settings o never know whether to look in the second, third, or fourth group. It’s further confused by some mail settings being in Mail and some in iCloud. I wasn’t entirely clear with my description/movie—if you scroll like you currently do, the index would automatically move from letter to letter. And I agree about the entire Settings app—it’s an overall UI mess.